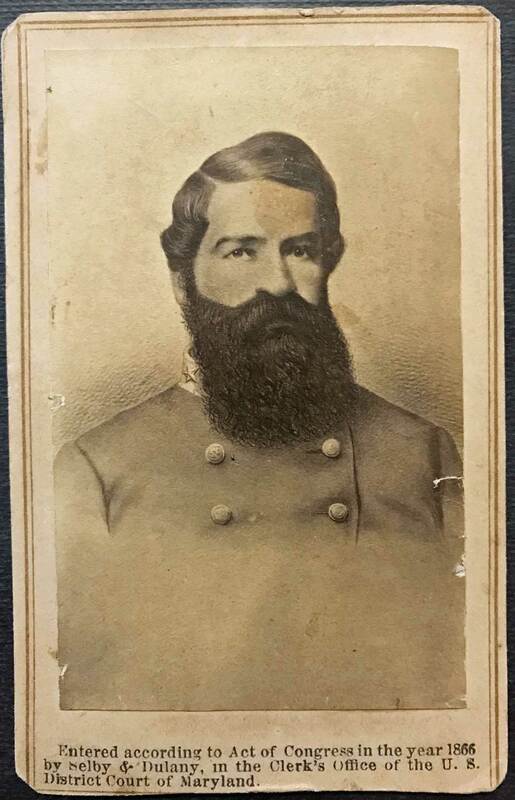 Cdv of KIA Confederate General Turner Ashby. Imprinted name on the back. Baltimore, Maryland photographer's b/m. Wear and soiling as shown in the photographs. A very scarce confederate image, due to his early death in battle.